Furniture selection is an important matter for any household or work place. Selection of furniture according to the requirement of your place play key part in getting accolades from the visitors and it also gives a soothing impact to the natives of the place. In Pakistan we have diversified households. Some are built on land measuring up to 2,000 yards while some are built on plots measuring a meager 80 to 120 yards. Living trends are changing with time. Scarcity of land along with the exorbitant price of land and security preferences is the main reason prompting people to adopt apartments’ life style. With changes in living styles, buyers’ perspective is also changing and furniture makers are making more cozy designs according to the requirements of consumers. Along with buying preferences, buying habits are also changing. In past, there was a scenario when people visit specialized furniture markets established at Queens road or at PECHS but now with changing times, buyers are preferring to buy furniture from close proximity to save time and cartridge charges. Considering all the factors, new furniture markets are coming up in various localities of the city. In this regard, a plethora of commercial hubs are set up in Phase-VIII of city’s posh locality Defence Housing Authority. Among the newly set up commercial hubs, one can also spot the outlets of prominent furniture makers in this locality and public are buying from these outlets. 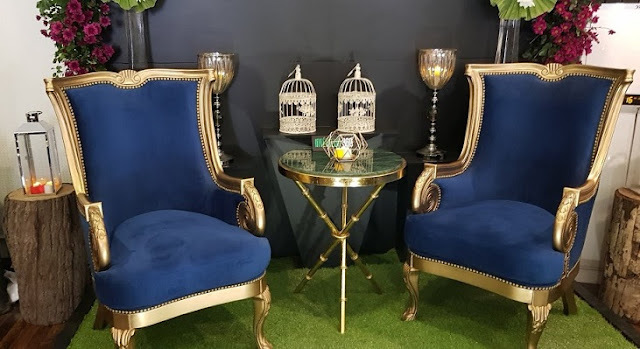 Keeping in mind the interest and requirements of the people for stylish furniture, Interieur360 opens its new outlet at Khayaban-E- Bukhari located at Phase-VIII of Defence Housing Authority (DHA). 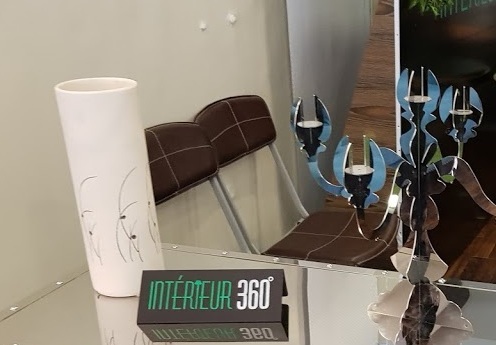 Interieur360 opens this outlet with a sole objective to provide high quality furniture to the customers for residential and commercial purpose. Customers coming to Interieur360 are offered a wide array of furniture choice for their bedrooms, lounge, dining rooms and other places. 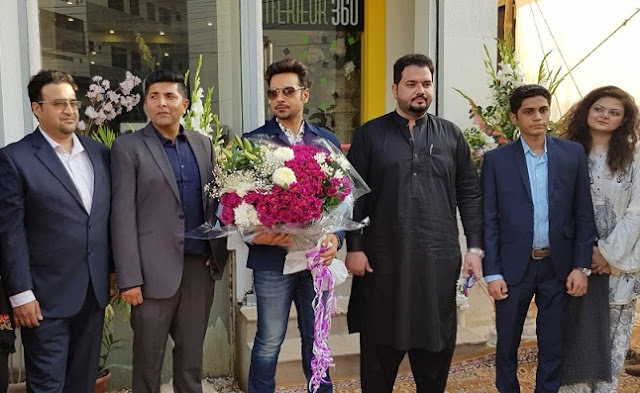 To give authentication to their brand, Interieur360 has designated iconic entertainment personality Faysal Qureshi as their brand ambassadors. 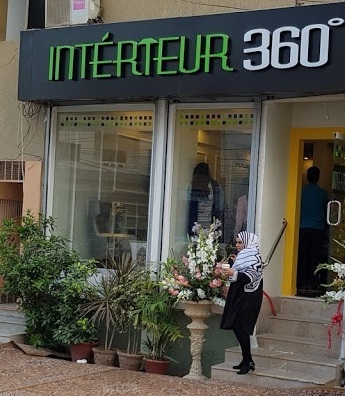 A ceremony was organized recently in which Faysal Qureshi officially inaugurated this first outlet of Interieur360 in the mega city of Karachi. Talking about having Faysal Qureshi onboard as brand ambassador, the management of Interieur360 echoed that a lot of thought was put in by us when appointing a brand ambassador and we all were unanimous in having Faysal Qureshi as our brand ambassador. Faysal possess a diversified personality and we want to link his personality traits with our furniture because stuff offered by us carry lot of variety and it perfectly fits the requirement of all our prospective customers. At the inaugural session, Faysal Qureshi was upbeat for his partnership with Interieur360. He was optimistic that public will praise the furniture offered by Interieur360. Faysal also pledged that he himself put in positive efforts to promote Interieur360. A large number of social media brigade was present at the venue during the inauguration ceremony and they use this event as an opportunity to take selfies with Faysal Qureshi.